Considering the explosion in the number of films and television projects going into production every single day, there has been an increasing demand for talented actors and actresses. Thankfully, overpopulation has ensured that the world and Hollywood, in particular, is not in lack of talented actors, one of whom is David Hull, who has reached national and international success via his appearance on Crazy Ex-Girlfriend. If you are not familiar with the show, it is a comedy-drama series that has been airing on the CW network for four seasons, since 2015. David Hull has been appearing on the show since its first season in a recurring capacity. Other than the CW show, the actor has also worked on shows like Insecure and Into the Dark. Much is unknown about the background of David Hull. His exact date of birth is unknown but he is believed to have been born in 1985 in Ohio. There is a dearth of information regarding the identity of his parents, but facial examination suggests he is of Asian ethnicity. Usually, actors and actresses have a childhood interest in the profession but that was not the case for David Hull. When he was a child, he had an interest in politics and a strong affinity for physics and mathematics. Rather than participate in school plays, he was an active member of the Junior Statesmen of America. For his education, although his basic education history is unknown, we know he studied and graduated from the University of Michigan. Considering the lack of background interest in acting for David Hull, he became a professional actor in 2008 when he appeared in Unto the Least of These, a short film, as Mr. Goldstein. He has been in the business ever since then, with over 20 credits to his name across all three mediums – theatre, film, and television. Before David Hull became the hunky man who viewers of Crazy Ex-Girlfriend drooled over on television, he appeared in a number of Broadway plays, a fact that puts him in the realm of well-rounded actors with credits across all three mediums of acting. But for his Broadway achievements, it is his onscreen appearances that have brought the most success to Hull as an actor and the journey began with appearances in minor roles in projects like Unto the Least of These and Old Lady Gaga: Alejandro, two short videos which were released in 2008 and 2010 respectively. David Hull got his first appearance in a full-length scripted project in the television show, The Big C in 2010, playing the character, Greeter. Between 2010 and 2015, he played a number of roles in several minor projects before he got his big break in Crazy Ex-Girlfriend as White Josh in 2015. He has appeared in all four seasons of the show. Between his time on Crazy Ex-Girlfriend, Hull has starred in other notable projects such as the HBO hit comedy show, Insecure where he played the character, Travis. He has also appeared in The Middle as Logan. For movies, David Hull made his first feature-length appearance in Are You Joking? He has made other appearances in The Dark Tapes, The Browsing Effect, Benjamin and the TV movie, The Sheriff of Topanga Canyon. One of the interesting things about actors and the way the audience perceives them are the assumptions that are made about their lives based on the characters they play on screen. There is no common example of this than assumptions of the sexuality of actors, especially when they play gay characters. 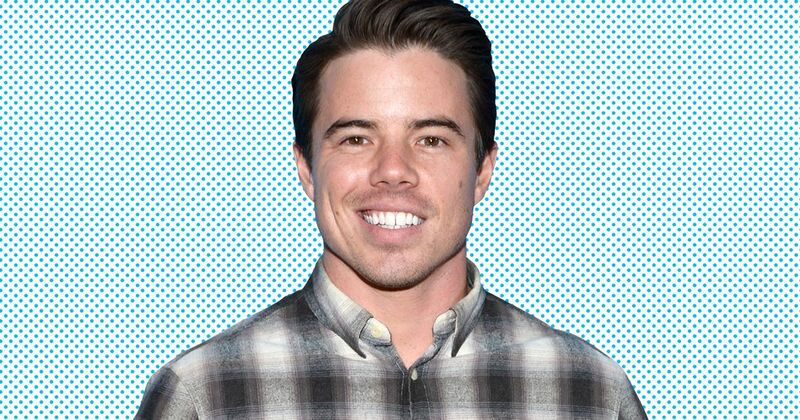 David Hull has been at the receiving end of these assumptions as his character on Crazy Ex-Girlfriend, White Josh, who is gay, has led to speculation that he is gay. It doesn’t also help that he possesses an incredibly fit body that is often considered a defining feature of gay men. However, there is no real evidence to conclude that the actor is gay. He has neither denied nor confirm the assumptions and as such, one can expect the rumors to hang around for a while yet. We mentioned earlier that David Hull is an incredibly fit man and it is quite evident by taking a quick glance at him. He sports a very defined muscular body which looks great in combination with his light brown hair and dark brown eyes.